On New Years Eve, I was looking for something sweet and delicious and alcoholic. If there’s one thing that’s pretty standard for our house is that there’s a plethora of bourbon and scotch but not so much for the “sweet” alcoholic beverage concoctions. I came across this recipe and decided to change it up based on what we had in our place. 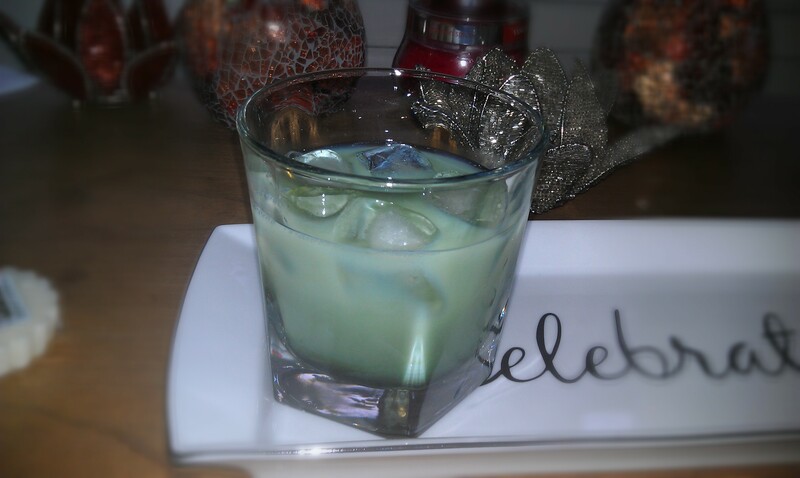 Pour vodka, creme de menthe, and kahlua in a glass over ice. Add milk to fill. Garnish with whatever you’d like, and serve.